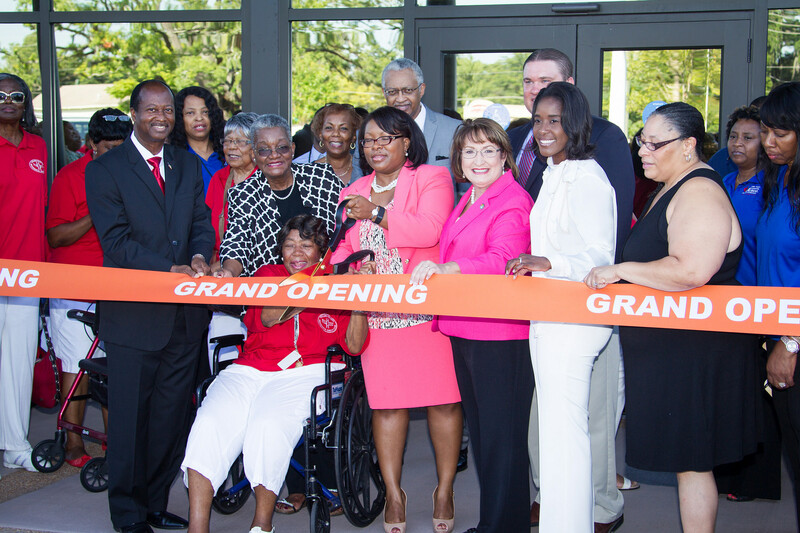 Mayor Teresa Jacobs joined community leaders at the grand opening and ribbon cutting ceremony for Orange County’s new Holden Heights Community Center on June 17. Mayor Jacobs was joined by Orange County District 6 Commissioner Victoria P. Siplin at the event hosted by Orange County’s Family Services Department and the Community Action Division. In addition to being a gathering place for Holden Heights and the surrounding communities, the center will provide programs to assist and educate low-income individuals and support families on their journey to self-sufficiency. More than 300 community partners and guests attended the grand opening event. The Community Action Division will provide job training, social service programs, vocational training and youth and senior programs. Several on-site partners will also assist with the division’s holistic approach to self-sufficiency, through referrals on issues such as child care, housing and crisis assistance. Prior to Commissioner Siplin taking office in December 2014, Orange County Clerk of Courts Tiffany Moore Russell represented the Holden Heights area, serving two terms as District 6 Commissioner. “A glass sculpture that will transmit and reflect colors on the walls is planned for the atrium and was chosen from more than 80 entries from artists around the country,” said Terry Olson, director of Orange County Arts and Cultural Affairs. Other elected officials who attended the event included Clerk Moore Russell, Orange County Sheriff Jerry Demings, Tax Collector Scott Randolph, Ninth Judicial Circuit Public Defender Robert Wesley, Orange County Public School Board Member Kathleen “Kat” Gordon, City of Orlando Commissioner Samuel Ings, City of Winter Garden Commissioner Bobby Olszewski and City of Winter Park Commissioner Thomas McMacken. A collection of photos from the Holden Heights Community Center Grand Opening Ceremony are available on Flickr for use by the media.